The new 2018 KTM Duke 390 White colour model has been silently launched into the market. The 2018 Duke 390 gets a new white paint option and a set of updates that make the motorcycle even more likable. Other than the new white colour option, the Duke 390 gets an updated software for the digital speedo console, a heat shield on the trellis frame to protect the rider from the high levels of heat, and an updated radiator fan that cools the engine better. There have been no changes in the specifications. The new motorcycle has gone on sale at an ex-showroom price of Rs 2,38,748. Prices of the new 2018 KTM 390 Duke white colour model have been kept at Rs 2,38,748. At this price, the new model costs Rs 2,000 more than earlier. As always, Bajaj will manufacture the new 2018 KTM Duke 390 at its facility in Chakan near Pune and the high levels of localisation will help keep costs in check. Bajaj has benefitted a lot from this alliance with KTM and so has the Austrian bike manufacturer. Obviously, there have been no changes in the specifications. Powering the 2018 MY Duke 390 is a reworked version of the same engine that powers the current bike. Which means it gets a 373 cc single cylinder engine that produces 43.5 PS. New additions to the bike include a new subframe and a new exhaust system to comply with BS IV regulations. 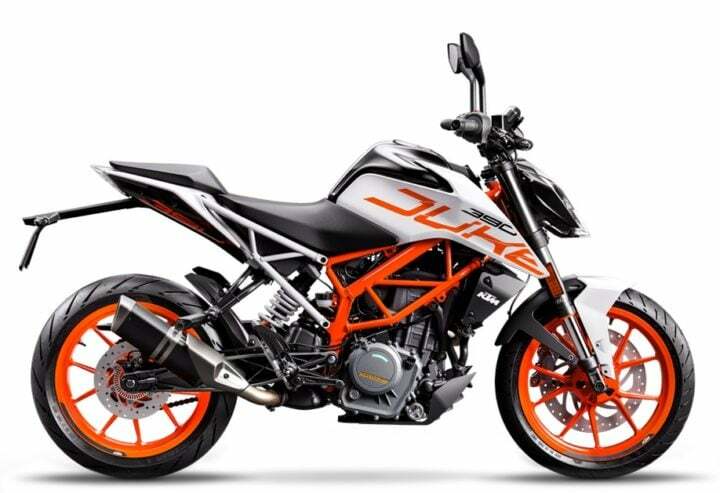 This has also resulted in the new 2018 KTM 390 Duke putting on a few extra kilograms. The motorcycle will continue with ABS as standard fitment. Fuel efficiency will hover around the 25 km/l mark for the new model. Stay tuned for the latest news updates on the new 2018 KTM Duke 390 white colour model that has just been launched with a white colour option.